We like to post pictures that we get from the factories. This is from Verona Italy (approximately 100Km west of Venice) – the picture shows a polished 12×12″ Calacatta Gold with an incredible white base and veining that is dramatic but not overly so. 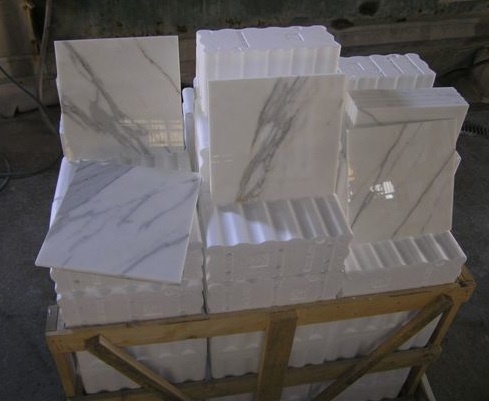 Calacatta really is perhaps the most spectacular marble or even natural stone in the world. This same marble graces the walls of the Vatican and today is synonymous with luxury stone.